It is important to appreciate how much leadership today is changing. The picture is not all reassuring. Trust in leadership of all sorts today is less than it was at the height of anti-authoritarian rhetoric in the 1960s. Respected thinkers have argued that this modern lack of confidence in leadership reflects something gone terribly wrong—broad failure on the part of leaders, a loss of moral integrity on the part of those being led, or even an impending collapse of society. But there is a more optimistic explanation, one that ties what we see to broader changes reshaping culture in our time. The crisis of confidence in leadership we see today may have less to do with leaders themselves failing, than how old forms of leadership are failing. Nothing more defines Cultural Maturity than a “growing up” in how we understand, relate to, and embody authority. That includes authority of every sort—from that exercised in leading nations; to the expertise of teachers, doctors, or ministers; to that we apply in making the most intimate of personal life choices. If the needed “growing up” in relationship to leadership the concept describes is not a major factor in the disruptions we now see, it will certainly be a major factor in changes long term. Arguably it will be needed if leadership is to work at all going forward. Many of the leadership-related changes that the concept of Cultural Maturity points toward have been described by thinkers other than myself. But the concept of Cultural Maturity provides a unique depth of understanding with regard both to why we should see these changes and what they entail. It helps to put leadership and how we think about it in historical perspective. We can miss how dramatically what we call leadership has changed over time. We witnessed the last major change point in leadership’s evolution some three hundred years ago with the rise of democratic principles and the emergence of individual determination as a rallying cry. Leadership in the previous stage in culture’s story had been heredity-based and dictatorial/authoritarian in approach. Now, at least in theory, anyone could be a leader. And good leadership came increasingly to be seen as leadership based on making sound—rational—choices. These new steps in leadership’s evolution were critical to the advances of the Modern Age. It is reasonable to ask why anything more should be necessary. The mechanism that psychologists call “projection” provides the essential insight. Projecting our power onto leaders has always before been central to the workings of leadership. When we project our power, we make leaders mythic figures. This is most obvious with leaders of times well past, such as pharaohs and kings, who were seen, if not as gods, then certainly as god-like. But in a similar if not quite so absolute way, we have continued to make leaders heroic symbols in modern times. We described John Kennedy using the imagery of Camelot. We depicted Ronald Reagan as a mythic father figure. In a related way, we’ve symbolically elevated not just political leaders, but authorities of all sorts—religious leaders, professors, doctors, and leaders in business. The mythologizing of leadership becomes a problem going forward for a couple of critical reasons. First, the tasks before us are requiring a more empowered relationship to leadership—and ultimately a more powerful kind of leadership. While turning authority over to symbolic figures can make circumstances appear more secure, increasingly today it undermines real possibility. Second is how projection distorts reality at a time when it is becoming increasingly essential that leadership choices reflect what it is actually the case. Such distortion gets in the way both of clarity and the more nuanced discernments that good leadership will increasingly require. 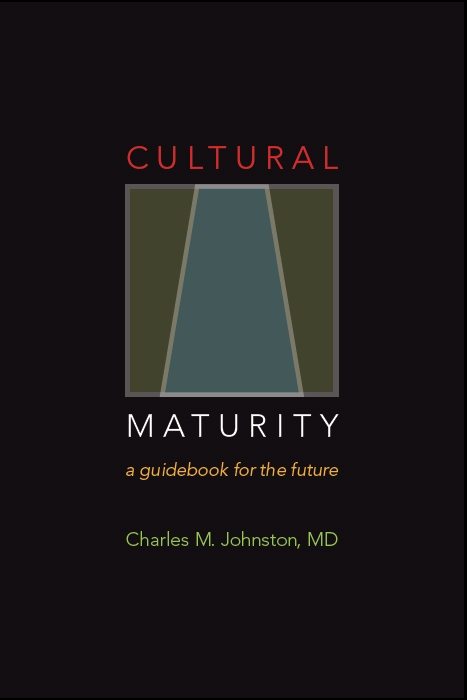 The concept of Cultural Maturity describes how the possibility of a healthy and vital human future hinges on new, more mature and sophisticated ways of understanding—and embodying—leadership. This recognition applies to all kinds of leadership—institutional leadership of every sort, and just as much how we lead our families and what it means personally to make responsible and effective choices. Needed changes are deeper than just new leadership skills. They have to do with authority itself—how we conceive of it and how we manifest it. It is important if we are to move beyond projecting our power onto leaders that we appreciate how mythologizing has served us. In times past, the idealizing of authority has been essential not just to effective leadership, but to the effective working of social systems. Mythologizing has provided a sense of order in a world that would otherwise be too complex and deeply uncertain to tolerate. It has protected us from life’s easily overwhelming bigness. But while it is important that we don’t dismiss the important role that the mythologizing of leadership has played, it becoming increasingly clear that protective idealizations can’t continue to serve us in the same way going forward. Leadership in the future will require more of us. It must be of a more expressly human sort in the sense of taking responsibility in a world in which uncertainties and complexities are inescapable. It must also be capable of a subtlety of understanding possible only when we surrender past protective distortions. Drawing again briefly on my health care example helps make the point. Acknowledging the depth of responsibility and necessary uncertainty that comes with being a physician will be key to good health care going forward. At the least it will be needed if we are to minimize medical errors. Maintaining a mythologized status is not compatible with expressing doubt and the ready acknowledgment of mistakes. But that is just as start. New understandings of leadership are integrally related to broader changes necessary to health care’s future. In the next piece in this series, I will describe how affordable, compassionate, and effective health care in times ahead will require getting beyond modern medicine’s heroic “defeat death and disease at any cost” mindset. That heroic mindset and the mythologizing of the physician’s role go hand in hand. Given today’s crisis of confidence in leadership, it would be easy to argue that the more mature kind of leadership I’m describing is at least a long ways off. And in many spheres this is certainly the case. But it is also true that we see changes consistent with the needed, more sophisticated leadership with authority relationships of many sorts. Some of the most significant social innovations of our time link the opposite halves of authority-related polarities—teacher and student, doctor and patient, minister and churchgoer, president and populace. They reflect a more mature and systemic leadership picture. Authority relationships of all sorts are becoming more two-way, with more listening and flexibility on the part of leaders and more engaged and empowered roles for those who draw on a leader’s expertise and guidance. In most spheres today we reside in an awkward in-between time in the realization of leadership’s new picture. We tend to be much better at demanding the gift of culturally mature leadership than at knowing what to do with it. We may want leaders to get off their pedestals, but frequently when they attempt to do so, we respect them less, not more. We want leaders to be more transparent, to reveal more of themselves and to make fewer decisions behind closed doors; however, when they do, our first response is often to attack them for their human frailties. It is important to appreciate how much of a stretch this further chapter in leadership’s story represents. How do we best understand what is becoming different? And how do we best make sense of just what these changes ask of us? Four themes I’ve touched on in other posts pieces help fill out leadership’s new picture. Culture as Parent. I’ve described how in times past culture has functioned as a mythic parent to the lives of individuals. I’ve also described how Cultural Maturity is about stepping beyond this parent/child kind of relationship. With the idealized leadership of times past, leaders in effect served as emissaries for culture as mythic parent. In the new picture, leadership becomes a more mortal enterprise, about ordinary people taking on tough and important jobs. Cognitive Changes. Cultural Maturity is not just about new ideas. It is a product of specific cognitive changes (see Cultural Maturity’s Cognitive Reordering). Leadership’s new picture follows directly from these changes. We get a glimpse in the observation that culturally mature perspective makes it possible to more consciously hold the diverse aspects of who we are—step back and in a more integrated way recognize and apply the whole of our human complexity. In previous pieces I’ve described how these changes help us think about moral questions in more encompassing ways, get beyond the projections that produce “chosen people/evil other thinking” on the world stage, and entertain more sophisticated understandings of love. The ability to think about questions of all sorts in more encompassing—more systemic—ways that comes with Cultural Maturity’s cognitive changes in effect defines culturally mature leadership. Whole-Person/Whole System Relationship. One of the most striking and significant results of these cognitive changes is that it becomes newly possible to engage relationships of all sorts—whether those between countries or between lovers—as relationships between whole systems. The leader/follower relationship is another place we see this result. In no way does this change dismiss the importance of good leadership—make leader and follower the same. In fact it brings new attention to the importance of exceptional leadership. But it does make the leader/follower relationship more specifically a human relationship. “Learning to better tolerate uncertainty and complexity” becomes essential in a world where traditional guideposts less and less serve us. The ability to do so comes with Cultural Maturity’s cognitive changes. “Getting beyond the us-versus-them assumptions” follows directly from culturally mature perspective’s more systemic view of the world. Engaging questions of all sorts in more encompassing ways alters what it means to make decisions in every part of our lives. We can miss the fundamental newness of the ability to “better appreciate the fact of real limits.” But this new ability that accompanies Cultural Maturity’s cognitive changes could not be more critical. It comes into play with inviolable limits of every sort—from limits to what we can often do, to limits to what we can be for one another, to limits to what we can ultimately know. “Learning to think about what matters in more systemically complete ways” is what replaces our past reliance on cultural absolutes. It is most obviously essential to making good individual choices and addressing specific policy concerns. 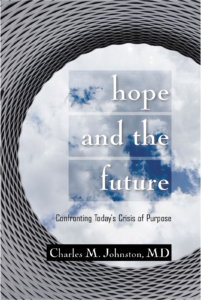 But it is also essential to addressing what I’ve spoken of as our time’s “crisis of purpose.” Our times demand a new kind of cultural story, one able to grasp significance and advancement in ways that better take into account the whole of human needs and all that goes into the human experience of meaning (see Humanity’s Crisis of Purpose). “Better understanding how events always happen in a context” provides needed big-picture perspective and the nuance necessary to make good choices in a diverse and ever-changing world. In particular it helps us understand our time and the particular challenges and possibilities that make our time unique. A couple of additional observations are important to fully grasping Cultural Maturity’s implications for leadership. The first reminds us that changes in how we think about leadership alter every aspect of decision making. We tend most immediately to focus on the needed capacities of the culturally mature leader. But just as important ultimately are the needed new capacities of the culturally mature “follower.” Certainly culturally mature leaders can only lead if they are understood and supported by those they lead. But it is more than just this. The follower’s role becomes inherently more dynamic, participatory, and responsible. Ultimately, the whole idea of leader and follow as opposite ends of a polarity breaks down. The second additional piece concerns how leadership’s new picture has as much to do with how we relate to authority in ourselves as it does with how we relate to outside authority. A bit closer look at Cultural Maturity’s cognitive changes helps clarify this assertion. Culturally mature perspective reveals how parts of ourselves that we have identified with authority and truth reflect only aspects of how understanding and determination ultimately works—and only aspects of what we must draw on in the future if we are to make effective personal decisions. With Cultural Maturity’s cognitive changes, we come to see both identity and truth in fuller and more dynamic ways. At the least, these changes make personal choice a more rich and multifaceted enterprise. And, again, too, we see a more fundamental kind of significance. Not just what we choose, but where in ourselves we choose from—and who ultimately we are—comes to reflect a more complete, more systemic picture. Consequences beyond the scope of this short article are sufficiently striking to be at least worth mentioning. Cultural Maturity’s changes challenge common assumptions about the nature of free will, our modern concept of the individual, and our beliefs, ultimately, about what it means to be human. It is important to remember that Cultural Maturity is about changes over the long-term. Just how much this is the case can be frustrating. I’ve written extensively about how numerous aspects of Cultural Maturity’s needed “growing up” are not happening as quickly as we might wish (see Long- Term Perspective: Looking out Twenty to Fifty Years). With some of the leadership changes I’ve described, we’ve made significant progress; with others, we have barely made a start. Political leadership is one of the places where we obviously have a long ways to go. In an earlier piece in this series I wrote about how today’s often intractable partisan pettiness can make effective governance nearly impossible. And partisan pettiness is only one manifestation of the immaturity that too often pervades the halls of government. But obstacles acknowledged, the challenges of governmental leadership provide powerful big-picture insights, ones we can draw on to even more deeply understand the needed new stage in leadership’s evolution. There are exceptions to today’s less than inspiring political picture. I’ve chronicled on my blog how Barack Obama’s leadership has often—I think to a remarkable degree—reflected culturally mature capacities. Consistent with this, his words have often made Democrats along with Republicans uncomfortable (see Grading Barack Obama). But it is also the case that as I write this piece, Donald Trump has just been elected U.S. President. People know that I am neither a Democrat nor a Republican. And it is hard to predict what kind of leader Mr Trump will turn out to be. But it is hard to escape that while numerous factors contributed to his winning, seen in relationship to Cultural Maturity’s challenge, his election represents regression. The American electorate responded to today’s often overwhelming uncertainties and complexities by choosing a parental figure who would promise to make them feel special, eliminate their pain, and solve all of their problems (see The U.S. Presidential Election: Reflections From the Perspective of Cultural Maturity). As we face critical, awkward in-between realities in the political sphere, we need to be wary of three kinds of unhelpful reactions. First, as old formulas cease to work, we can become cynical and despairing. Feeling powerless, we can, in effect, opt out of the leader/follower relationship. Second, as old forms of leadership prove no longer reliable, we can become advocates for traditional leadership’s opposite. This can take the form of replacing top- down with bottom-up ideals of determination—more populist from the Left or more libertarian or simply anti-government from the Right. At worst we see extreme anti-authoritarianism and violence. And third, we can find ourselves attracted to authoritarian leaders who in promising the return of old securities in fact make our world only more dangerous. What do our times ask of us when it comes to governmental leadership? On the leadership side of the leader/follow equation they require people able to articulate and manifest all the new capacities I’ve noted. On the follower side of the equation, our times ask us all to be leaders in terms of actively being a part in the choices that need to be made. They also ask us not to cop out, to become self-righteously anti-authoritarian, or to in any other way undermine effective leadership. We need to deeply respect and cherish culturally mature leadership wherever it can be found—because it is so vitally important, and because it is as yet rare. One further observation with regard to governmental leadership is pertinent. In the previous article that noted the obstacle to effective governance presented by partisan pettiness, I observed that there is no reason to assume that our current chapter in government’s evolution is some ideal and end-point. These reflections on leadership provide an added way to appreciate why something more might be expected. They also provide essential additional insights into what would make a next stage in government’s evolution new—and important. It turns out that representative government as we have known it represents something quite different from what we have assumed it to be about. I’ve written extensively about how, while we like to think of modern institutional democracy as “government by the people,” we remain yet short of that ideal (see The Future of Government). This is most obvious with the simple recognition that election results tend to more closely reflect “one dollar one vote” than “one person one vote.” But these observations on the evolution of authority provide important further perspective for understanding this conclusion. In that previous post that looked at the future of love, I briefly introduced what Creative Systems Theory calls “The Myth of the Individual.” I described how, while we like to think of modern romantic love as love based on individual choice, it is not yet this in the sense of choosing as whole people. It has been love based on finding another half to complete us. Given that the leader/follower relationship, too, has been a two-halves- makes-a-whole relationship, in a related way modern institutional democracy stops short of our started democratic ideal. This recognition helps support the conclusion that a next chapter in government’s developmental story is both needed and possible. It also helps us appreciate important aspects of what such a new chapter must accomplish. I know no more intriguing leadership question—and no more important question when it comes to our future well-being—than what a next stage in government’s evolution might look like. The concept of Cultural Maturity offers multiple ways to approach the question. One is to ponder what government that comes closer to being real “government by the people” might look like. Cultural Maturity’s changes will themselves drive this conversation as we come to experience both what matters, and ourselves, in more complete ways.